Martin Luther King Jr. was staying in Room 306 at the Lorraine Motel in Memphis, Tennessee, on that dismal day of April 4, 1968. He was assassinated on the balcony outside of his room at the place now known as the National Civil Rights Museum. The day King was killed, the New York Knicks’ front-office power trio of president Steve Mills, general manager Scott Perry and vice president of player development and G League operations Craig Robinson were all in elementary school. But they each have a vivid memory of the sense of loss the world experienced. Perry, a Detroit native, was only 5 years old. “I just know that there was sadness in my household. I can remember that. At that young age, it was this deep sadness,” he said. For the first time, the three men visited the museum with their team, coaching staff and other members of the Knicks organization last week. And they all got to stand on that balcony where King lost his life while in Memphis advocating for the black struggle. Private team tours are not new to the museum, established in 1991. But this year, player and team attendance for these tours has increased. As the world approaches the 50th anniversary of King’s death, known as MLK50, teams are taking the opportunity to treat the private tours as a bonding experience, reflecting on the legacy of King and the civil rights movement. For Mills, being able to spend time at the museum ahead of the 2018 commemoration was special. “We had the opportunity, actually, to go out on the balcony, so to end up out there was just incredible. It was very captivating and interesting,” Mills said. Robinson said that the visit was far more emotional than he’d imagined because it is the location of King’s death and because of the players’ reactions. Mills said Knicks guard Tim Hardaway Jr. was showing his teammates photos he’d taken on his phone a day after the visit. “He was talking about how important it was for Walt Frazier, who was a very sort of introspective guy who doesn’t talk that much, to hear him talk about his experiences as a team and how they used to go and sit at counters and get arrested,” Mills said. 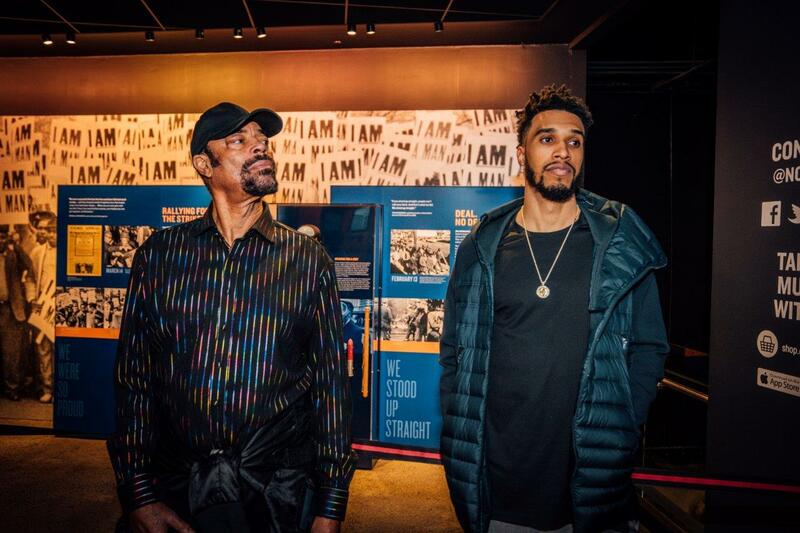 Walt Frazier and Courtney Lee at the National Civil Rights Museum at the Lorraine Motel in Memphis. Frazier, a Hall of Famer who played for the Knicks from 1967-77, is the team’s color commentator. “For our players to hear one of the legendary Knick players talk about those experiences from a personal level, I think that’s what we’re here to do, to try to get these guys connected and understand where they fit. I thought that was a very emotional moment as part of the experience,” Mills added. Perry called the visit a tremendous learning experience. The mission of the National Civil Rights Museum is to chronicle key episodes of the American civil rights movement, examine today’s global civil and human rights issues, provoke thoughtful debate and serve as a catalyst for positive change, according to its website. It holds 264 exhibits, including historic collections and interactive pieces. Knicks forward and team captain Lance Thomas has visited the museum three times, but it was his first time with the Knicks team. Knicks guard Courtney Lee frequented the museum during his two-season stint with the Memphis Grizzlies. This was his fifth visit. Team veteran Jarrett Jack first visited the Civil Rights Museum when he was 15 years old. The 34-year-old said he understands that although King is usually celebrated once a year, his legacy, his teachings and his many speeches live on daily. “When you think about it, he’s been dead 50 years. … Five decades. … Half a century, which is a very short time for us to do things like play in the NBA or make whatever you want to do possible,” Jack said. Visiting the museum was important to Perry because it aligns with the organization’s vision of making sure players are well-rounded. “Basketball is something that they do as a job, but it doesn’t define them totally as people, and that’s what we want, those guys to really be well-rounded. When they’re done playing basketball, there’s a lot of life hopefully for them. Giving them a chance to experience things like what they experienced [at the museum] can go a long way,” Perry said. For Robinson, the museum introduces some history that is not traditionally taught in schools. 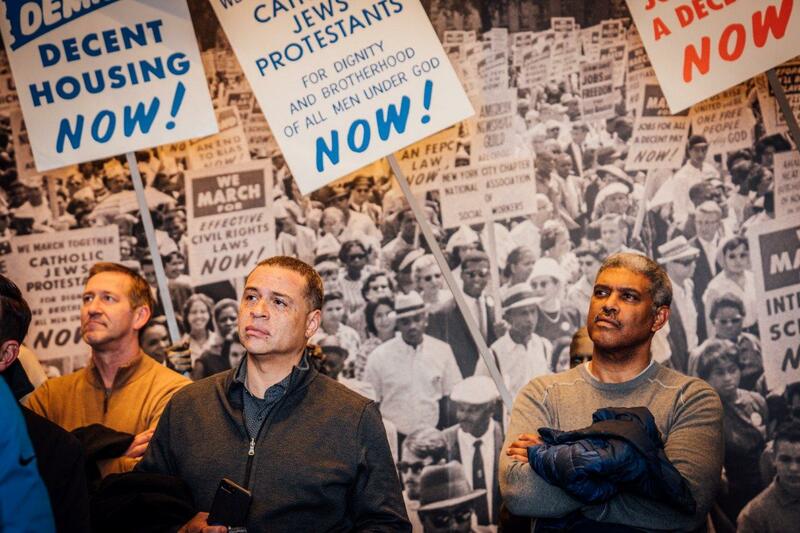 The Knicks and their management team visited the National Civil Rights Museum at the Lorraine Motel in Memphis. The intersection of race, sports and culture exists, and the Knicks’ front office wants to encourage a climate that welcomes conversations around topics that may intrigue players. Perry said their doors are always open for issues beyond the players’ profession.